Heat srink electrical accessories are important for electrical installation security. Heat shrinks are used to cover the electronic parts to make it safer and look neater. 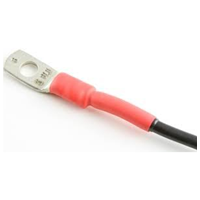 Usually used for cable insulation or cable protection. 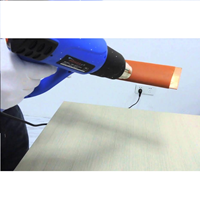 Heat Shrink Adhesive is an electrical accessory that is used to cover electronic parts to make it safer and look neater. 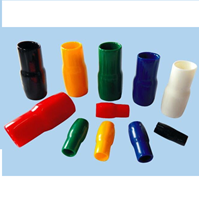 Usually used for cable insulation or cable protection. Heat Shrink Busbar Insulation for use on straight or crooked rods where some permission reduction or 24 kV insulation is required.Compatible with all other products in the Raychem MV insulation enhancement system.Electrical accessories are flame retardant and halogen free.Excellent flexibility can be mounted on a variety of curved or bent busbars without cracking.Exceptional isolation and long-term reliability even at continuous operating temperatures. Electrical Accessories End caps are used to protect unused cable ends from environmental effects. They also offer insulation on the ends of unused power cables connected to the supply. Close the end IKEBANA with a layer of film shape suitable for pressurization and with a spiral shape layer for pressure-free telecommunications cables and various kinds of electrical cables from PVC, XLPE, PILC or rubber type jackets. The application table provides the dimensions of the final stamp and the range of cable diameter usage for each model. For pressurized telecommunications cables, the end cap is equipped with a non-return air valve. Vinyl wire end cap is an electrical accessories used as a seal. This product can minimize the occurrence of short circuit. made of quality rubber so it is more safety. We provide a wide range of heat srink safety to suit your needs. Buat Permintaan Untuk "Heat Shrink"